Oil painting on canvas, dimensions 40″ x 30” (102 x 76 cm), 2013. 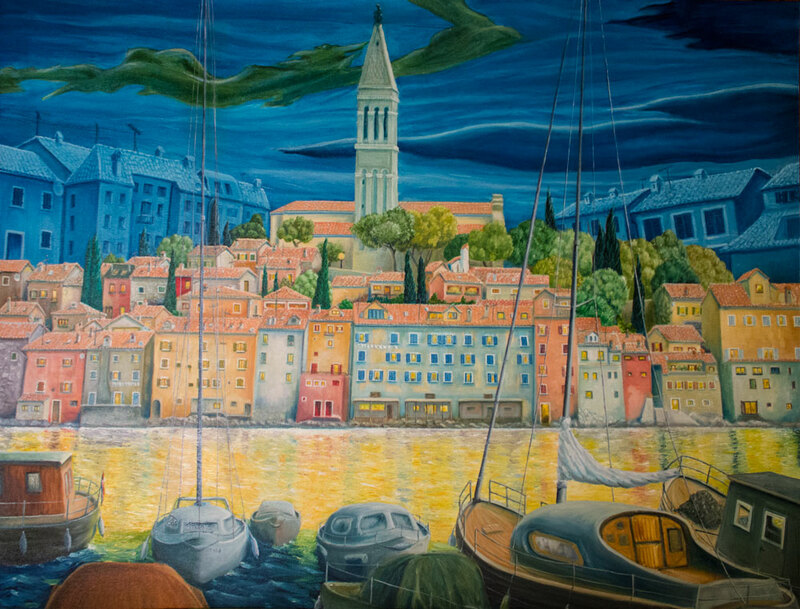 Another Mediterranean painting, or better said, another inspired by Rovinj. To live by the sea, and if the sea is the Mediterranean, it’s a great privilege. That’s where the title came from. Don’t expect to see exact presentation of the town – I’m not a documentarist (unless documenting my dreams and daydreams can make me deserve that title). Maybe the picture should bear the attribute of a fairytale presented by the help of the American night.